As some of you may know, I am the social media correspondent for Peroni, which means I get the chance to do amazing things and visit some great places! 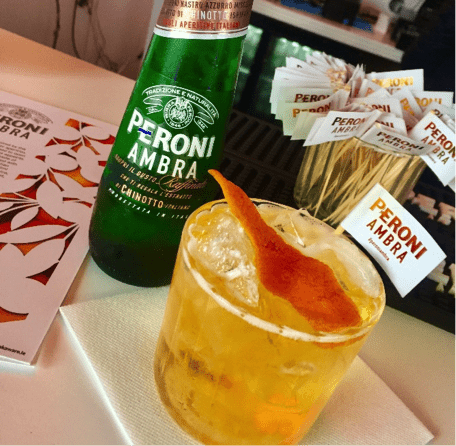 Earlier this week, I was invited to try one of The House of Peroni’s masterclasses called the Art of Aperitivo, which took place at the residency at 1 Dame Lane (more info here). 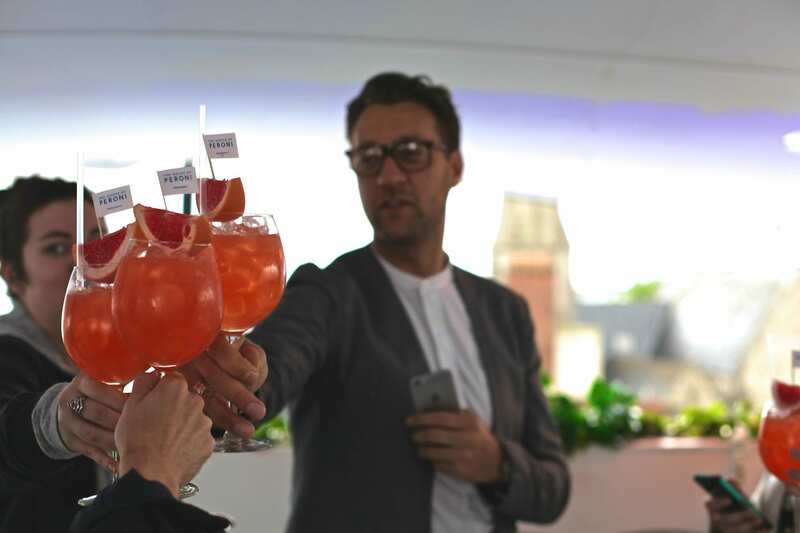 The class took place on the rooftop and was led by The House of Peroni’s Master of Mixology, Federico Riezzo, who is full of knowledge when it comes to the art of Aperitivo. Fede began by giving us some information on the background of Aperitivo, which is an institution in Italy. 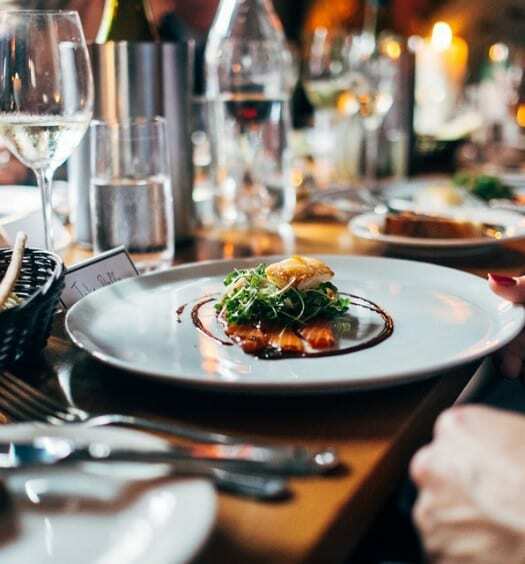 “Aperitivo” is about stopping to relax with friends and enjoying a refreshing drink before dining and is derived from the Latin word meaning “to open”, and in this case, to open your stomach (i.e. 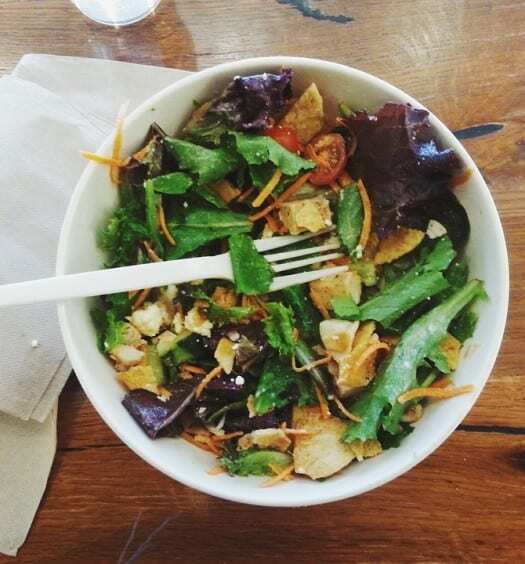 to make you hungry!). 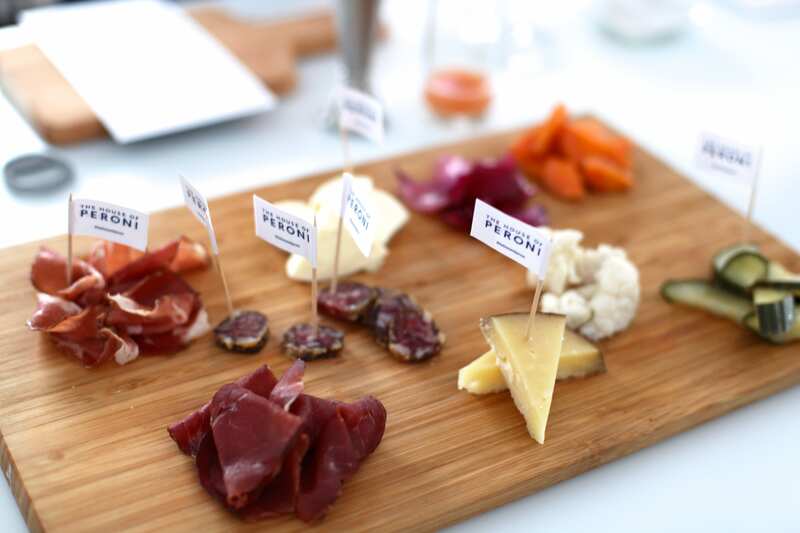 While whetting our appetite with Peroni’s newest drink, Peroni Ambra, we were presented with a delicious selection of cured meats, pickles and delicious cheese, including my favourite Toonsbridge mozzarella. 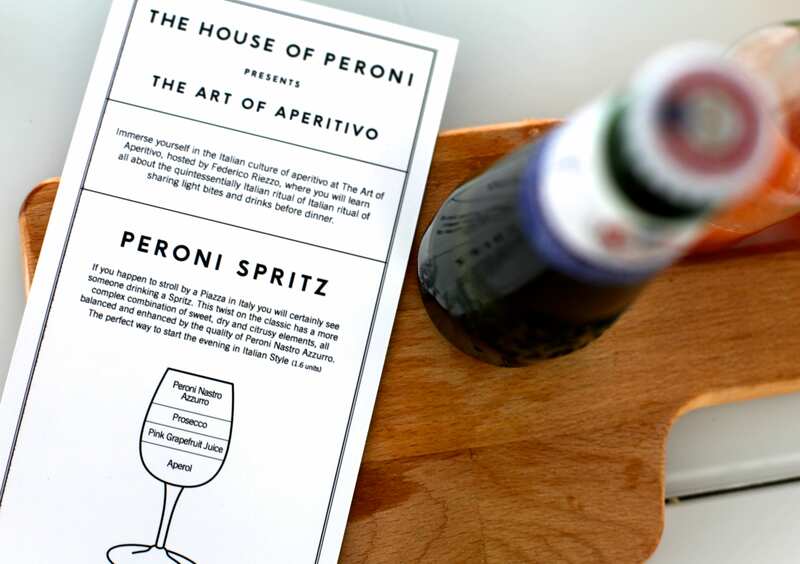 The focus of the class was on one of Peroni’s signature drinks, the Peroni Spritz, which is a classic Venetian drink full of refreshing citrus flavours. An inventive take on a regular Aperol spritz, this version has Peroni Nastro Azzuro which tones down the sweetness nicely and it’s definitely something I see myself making at home to enjoy in the sun (if and when it makes an appearance again!). Fede explained that it’s important to use lots of ice when making a cocktail, because ice stops ice from melting. Something that makes a lot of sense but I hadn’t thought about before! Pour the Aperol and grapefruit juice into a large round glass and swirl so that the flavours infuse. Top with the prosecco, Peroni Nastro Azzuro and fill with ice. Garnish with a slice of grapefruit and enjoy! 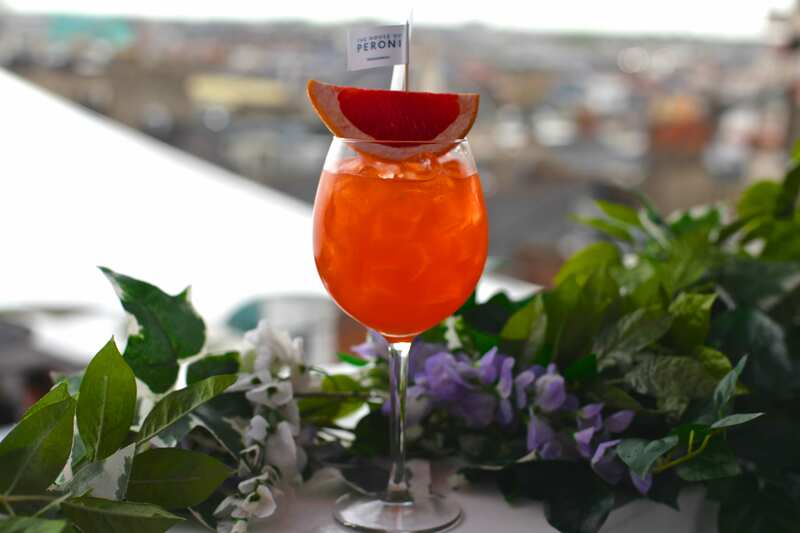 The House of Peroni is open until June 4th on 1 Dame Lane. Entry is free but masterclasses, brunch and dinner are ticketed events and can be purchased in advance online. My advice would be to get there quick to enjoy a refreshing drink and beautiful views of the city before it’s over for another year! Follow Peroni Ireland on Facebook, Twitter or Instagram.